NuRAN Wireless Inc. ("NuRAN Wireless" or the "Company") (CSE:NUR)(CSE:NUR.CN)(CNSX:NUR)(OTC PINK:NRRWF), a leading supplier of mobile and broadband wireless solutions to connect the next billion, announced the official introduction of OC-2G at the 2nd OpenCellular Workshop in Nairobi, Kenya. The OC-2G is the third product to emerge from the Facebook lead Telecom Infra Project ("TIP") initiative since its formation at the Mobile World Congress in 2016. Previously, NuRAN had announced being selected as Original Equipment Manufacturer and Distributor of the OC-SDR product, the first product to emerge from TIP, and the OC-LTE, a 4G basestation currently being designed by NuRAN with Cavium and Keysight and with expected trial units to be available during the third quarter of the year. The 2nd OpenCellular Workshop was held on June 19-20 in Nairobi, Kenya and brought together members of the TIP workgroup with the clear objective of connecting the many communities around the world that do not have cellular connectivity and currently estimated to represent at least 1 Billion people. NuRAN presented the details of OC-2G to the TIP members. 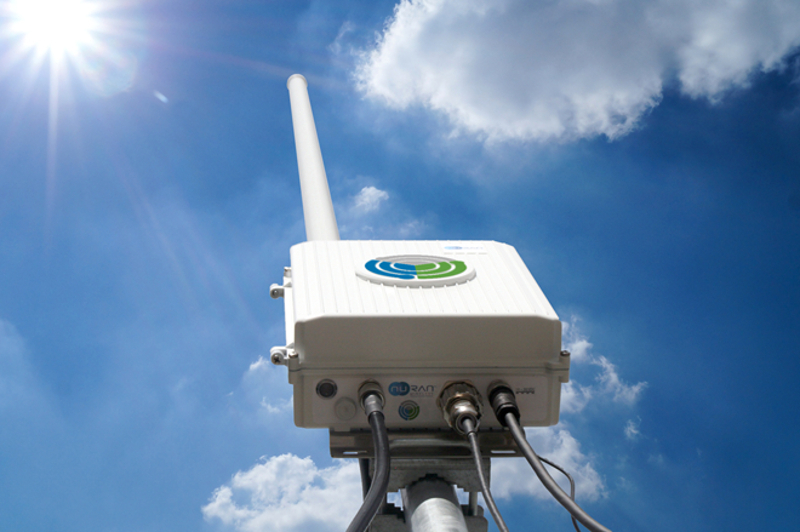 OC-2G is a carrier-grade basestation which brings voice and data connectivity profitably to even the smallest of communities. This product is entirely designed and developed by NuRAN and benefits from the Company's extensive expertise in mobile infrastructure design. OC-2G will be integrated with NuRAN's proprietary software stack and NuRAN's basestation controller in order to form a complete radio access network (RAN) solution for carriers looking to expand their footprint to communities of 400 to 1,500 inhabitants. The hardware design of the system will be made available to the Telecom Infra Project (TIP) OpenCellular group, an organization that aims to democratize the access to mobile connectivity in remote areas through the development of open source and low-cost wireless access platforms. Members of the OpenCellular group include Facebook, Cavium, Keysight, Cisco, Telefonica, Intel and Nokia to name a few. The OC-2G basestation is a distinct and complementary product to the OC-SDR as it addresses smaller aggregations of population than OC-SDR. The OC-SDR is a flexible software-defined radio which was unveiled during the Telecom Infra Project (TIP) Summit held on November 1-2, 2016 and for which trial units are expected to be delivered to early adopters in the coming month. The OC-2G basestation is also a complementary product offering to NuRAN's LiteCell 1.5, which targets communities of 1500- 20,000 inhabitants. These new product offerings will provide Nuran with new revenue streams and further expand NuRAN's ever increasing footprint throughout the world. NuRAN plans to deliver pre-productions units of OC-2G in August 2017 and production platforms are scheduled to be available in October 2017. "We are extremely excited to be working with our partners in the Telecom Infra Project initiative in a synergistic and complementary fashion. The OpenCellular project group's focus is to address the growing and pressing need of connecting everyone everywhere and leaving nobody behind. By sharing our expertise established over the past 25 years, the OpenCellular project group is developing products which address the many needs for the world's unconnected. These new products are very complementary to our own LiteRAN 1.5 and further allow us to expand our reach by addressing market needs which may have otherwise been overlooked. With 3 distinct and important products expected to be available throughout the balance of 2017, NuRAN is extremely well positioned to be the partner of choice for rural and remote cellular connectivity worldwide," states Martin Bedard, Co-CEO of NuRAN Wireless. NuRAN Wireless is a leading supplier of mobile and broadband wireless solutions. Its innovative products dramatically drop the total cost of ownership, thereby creating new opportunities for mobile network operators and internet service providers. The Corporation provides a variety of specialist systems for indoor coverage, rural and urban connectivity in emerging markets, connectivity to offshore platforms and ships, and for emergency and crisis communications. This press release contains forward-looking statements. Often, but not always, forward-looking statements can be identified by the use of words such as "plans", "expects" or "does not expect", "is expected", "estimates", "intends", "anticipates" or "does not anticipate", or "believes", or variations of such words and phrases or state that certain actions, events or results "may", "could", "would", "might" or "will" be taken, occur or be achieved. Forward-looking statements involve known and unknown risks, uncertainties and other factors which may cause the actual results, performance or achievements of NuRAN Wireless to be materially different from any future results, performance or achievements expressed or implied by the forward-looking statements. Examples of such statements include: the Company's quest to connect the next billion; that this strategic acquisition allows Nuran to offer a complete mobile and broadband solution and the ability to secure the Nuran solution as the leader in rural and remote mobile connectivity, that the acquisition reinforces NuRAN's strategic positioning towards new and small operators by offering an end-to-end mobile small-cell network solution with the lowest Total-Cost-of-Ownership (TCO) on the market and that the acquisition will allow NuRAN the opportunity to bring cellular coverage to emerging market where the return on investment (ROI) was previously simply too low. Actual results and developments are likely to differ, and may differ materially, from those expressed or implied by the forward-looking statements contained in this press release. Such forward-looking statements are based on a number of assumptions which may prove to be incorrect, including, but not limited to: the ability of NurRAN Wireless to obtain necessary financing; general economic conditions in Canada and globally; competition for, among other things, capital and skilled personnel; our ability to hire and retain qualified employees and key management personnel; possibility that government policies or laws may change; possible disruptive effects of organizational or personnel changes; technological change, new products and standards; risks related to acquisitions and international expansion; reliance on large customers; reliance on a limited number of suppliers; risks related to the Company's competition; failure to integrate the technology and assets acquired from the Vendors and the Company's failure to adequately protect its intellectual property; interruption or failure of information technology systems and other risk factors described in the Company's reports filed on SEDAR), including its financial statements for the year ended October 31, 2015, and those referred to under the heading "Risk Factors". These forward-looking statements should not be relied upon as representing NuRAN Wireless' views as of any date subsequent to the date of this press release. About this company NuRAN Wireless Inc.